Welcome to the information page for the listening bench installed in Kelvedon, Essex. Here you can find out more about the clips featured on the bench. There is also information about the Kelvedon and Feering Heritage Society, which put the clips together. 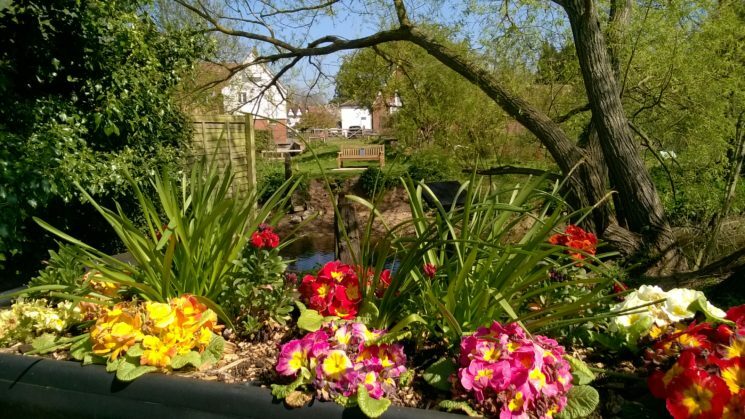 The clips currently loaded onto the bench give a brief history of Packhorse Bridge, Kelvedon, and Feering, and memories of the villages from the early twentieth century. The memories were taken from oral history interviews collected as part of the “Kelvedon Speaks” project, led by Ruth Kent. The bench is located on Packhorse Bridge by the River Blackwater, behind Bridge Meadow off Feering Hill. This bench was put together by the Kelvedon and Feering Heritage Society in collaboration with the Packhorse Bridge Society and the Essex Record Office, as part of the Heritage Lottery Funded project, You Are Hear: sound and a sense of place. The Society aims to secure the villages’ heritage through conservation, protection and improvement by safeguarding the best of the past and ensuring that what is added enhances the villages. For more information visit their website. QR code kindly provided by Visualead. The history of Packhorse Bridge, its restoration by the Packhorse Bridge Society, and the wildlife that can be found on the site. History of the area around Feering Hill, including the mill on Swan Street, Doughton’s Yard, the Swan Inn, the Railway Tavern, and nearby houses. A brief history of settlement in Feering, its seed industry, and some of its past residents – including a mammoth. Dorothy Pitchford recalls past shops on Feering Hill, the Crab and Winkle railway line, and the lampshade manufacturer. Read more about the full interview (SA 44/1/51/1). Mr Hume and Mr Hayward give further memories about the Crab and Winkle railway line. Listen to the full interview here (SA 44/1/25/1). Mr Owen gives further information about the railway line, the gas retort, and a coke shop on Station Road. Read about the full interview here (SA 44/1/47/1).